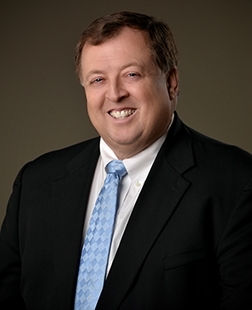 Steve Martin, CCIM, CPM is the Owner and Executive Director for SVN | The Martin Group specializing in the sale of multifamily, retail, investment and commercial properties in Indiana and Kentucky. With more than 41 years of experience he has secured transactions valued in excess of $500 million. Steve is the current Vice President of the Indiana Chapter of CCIM, he is a Past President of ICBR and the Affordable Housing Association of Indiana and also served previously on the Council for Affordable Housing in Washington DC for 8 years. Can you tell us about your business and what you specialize in? Steve: I have been in the commercial real estate business for 41 years. I started as an apartment developer, and have also been involved with property management, construction, development, and brokerage – mostly related to multifamily properties. I have been involved in over 12,000 apartment units in 18 states and built the first Section 8 apartment ​property​ in the state of Indiana, the first Section 42 Tax Credit property in Indiana, and I was also a founding member of the Affordable Housing Association of Indiana. When did you start using ClientLook CRM? Steve: A long time ago! Prior to ClientLook I was using Act, then I switched to REA, then to Daylite for Mac, and then I found ClientLook. Our entire office uses ClientLook with either individual accounts or as part of a team – like mine. It was very easy to get our data converted into the ClientLook system. Steve: ClientLook’s philosophy is the same as mine: keep it simple! I like that ClientLook is entirely cloud-based, it is so easy to use, and converting data into the system is a breeze. Our entire company made the switch to being 100% cloud-based. We ​work with everyone in our office and training them on how to use ClientLook is easy! Between the video tutorials on your website, to the webinars, to your support team, everyone in our office is able to get set up in no time. Steve: The Virtual Assistant and the iPhone app! I use the VA every day to enter contacts, tasks, calendar events, and meeting history that I dictate as I’m driving back to the office from meetings. I also use the app to make phone calls because I can instantly make an update to that contact as soon as the call is done. I also love the integration with Google because it syncs with my calendar. I often tell Alexa to add something to my calendar, and it not only gets added to my Google calendar but syncs with my ClientLook database as well. I also really like that ClientLook integrates with Analyst Pro and Buildout. Steve: ClientLook gives us a history and a simple way to watch all of our listings and properties​. It’s nice to be able to see the history of a property, of a deal, and of a contact. ClientLook keeps track of everything so we can easily pull up a record to see the history and details that we may have forgotten. Our team also uses the client reporting feature to give updates to our clients. Sometimes we make our own reports, but all of the data comes directly from the client reports in ClientLook. How has your experience been with ClientLook? Steve: Our experience has been very good! Everyone in the office has a subscription to ClientLook. I like that ClientLook continues to evolve and new features are added constantly. I was already a satisfied user, but the iPhone app has been a wonderful addition that I use constantly. We looked at other CRM’s and really like the simplicity of ClientLook. It’s been a very strong experience for us! What’s it like to work with the ClientLook team? Steve: The team has been awesome! The support team always look for solutions to things we ask them to do, and they are always able to help us when we have a question or need assistance. Everyone we have encountered has been tremendously helpful.